Congratulations to the Clearbrook Waterworks District (CWD) on winning bronze in the annual Berkeley Springs International Water Tasting competition, held in Berkley Springs, West Virginia on February 21, 2015. Ten media judges spent hours tasting and selecting from among nearly 100 waters sourced in 19 states, six Canadian provinces and 6 foreign countries. 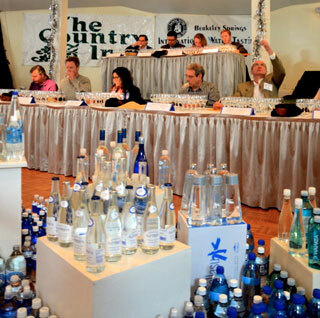 Judges were instructed to look, smell and taste each water under guidelines similar to those in a wine tasting. The waters were rated for each attribute including appearance (it should be clear – or slightly opaque for glacial waters), aroma (there should be none), taste (it should taste clean), mouth feel (it should feel light), and aftertaste (it should leave you thirsty for more). Waters were tasted in four separate flights over two days. The CWD are three-time gold medal winners of the competition, previously winning in 2008, 2009 and 2014 for best municipal water.